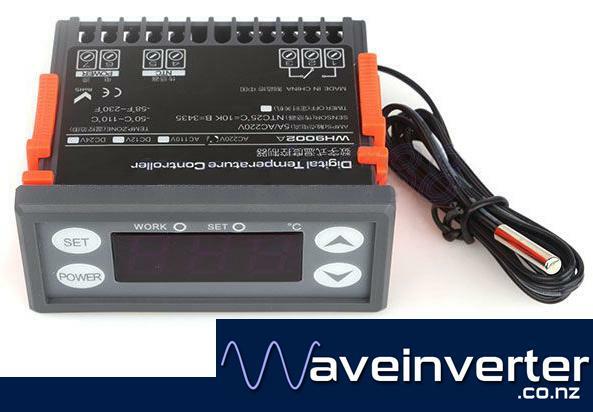 This Digital LCD Temperature Controller with 1 metre NTC Sensor offers numerous features and benefits that enables end users meet the needs of different various operations and applications. It has two onboard relays to connect both a heater and a cooler, which allows you to maintain a specific temperature despite an ambient temperature that could be either hotter or cooler than the desired temperature, this is often needed in fermentation. • Alarm when temperature exceeds temperature limit or when sensor error.